With hundreds of thousands of Americans and Canadians owning property in Mexico, Mexpro has become a preferred Mexico homeowners insurance agent of these North American residents. Our policies, for both house and condominium owners, provides quality insurance from a reputable A.M. Best rated Mexico home insurance company. The advantage is, you bypass inferior local Mexican insurance companies, along with their high deductibles and inferior coverage. Since 1999 Mexpro has taken care of our clients' insurance needs while they visit Mexico. This includes issuing over one million Mexican auto insurance policies, which are absolutely vital to any Americans or Canadians who plan to drive to Mexico. Mexico has become a destination of choice due to its warm climate, moderate cost of living and friendly atmosphere. Mexpro has worked with GNP to create a home insurance program we believe is of the upmost quality in the Mexico insurance market. Purchasing from Mexpro is quick and easy - you can purchase and print your policy within minutes and soon be on your way. Our knowledgeable and helpful staff will be more than happy to answer any questions you may have. 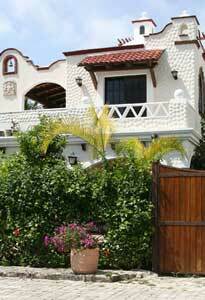 Feel safe in the knowledge that your home and family are well protected in Mexico.